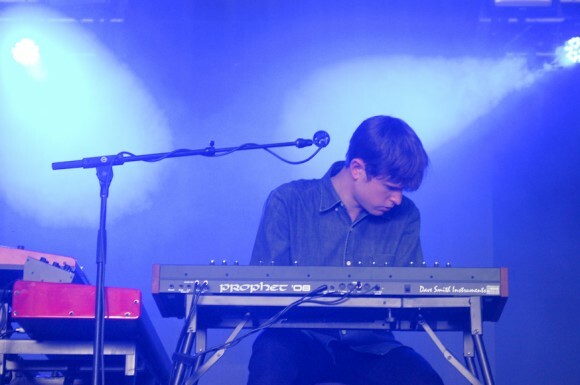 James Blake released another track called “Building It Still” on his Thursday night BBC Radio 1 broadcast. The English electronic music producer/singer has been debuting previews of his upcoming third studio album, as well as remixes on the radio during these Thursday nights. Other singles he has recently released include “200 Press”, “Roman Patience” and “40455”, according to Consequence of Sound . The new track “Building It Still” is definitely unique in the sound it produces. There is a steady beat in the background throughout the song, but the vocals come often and out of the blue. There are many contrasting sounds in this song that somehow combined to work together. There is a part of the song that does not quite seem to go with the rest, where there is piano playing that continually gets cut off. Therefore, it sounds somewhat jerky. The song seems to match it’s own title, as if Blake is still building this song and working on it to completion. Blake recently announced a North American tour in support of last year’s album Overgrown.